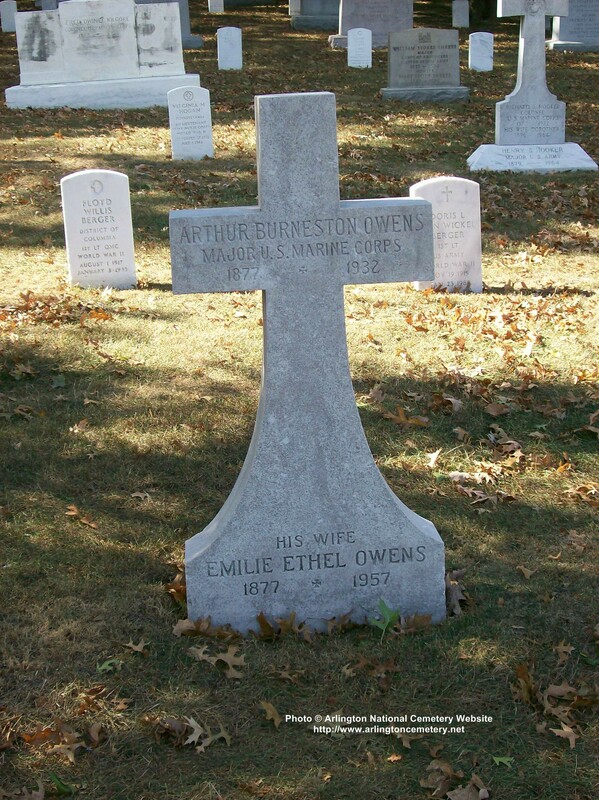 ANNAPOLIS, Maryland, September 9, 1932 -Major Arthur B. Owens, United States Marine Corps (retired), committed suicide last night by shooting himself at his home near Mount Zion, sixteen miles from Annapolis. He left a note saying that he was shooting himself and that no one was to blame. He gave no reason. He is survived by his wife, Mrs. Mary B. Owens and a stepdaughter, Mrs. Godfrey, wife of Lieuenant Commander Vincent H. Godfrey of the Navy. The shooting took place in the house in which Major Owens was born in fifty-four years ago. The widow could give no reason for the suicide except worry over financial matters. Major Owens had engaged in farming since his retirement in 1919. Recently he had spent large sums preparing to raise tobacco. He also had practiced law.